The students of Mouseford Academy are participating in an enormouse science fair! Mice from schools around the world are all hoping to take the top prize. The Thea Sisters would love to win, but so would Ruby Flashyfur - and shes willing to do whatever it takes! Can these mice play nice, or will the science fair be a total flop? 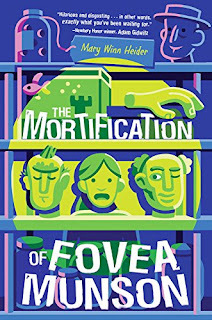 This is a great addition to the Thea Stilton series of books. The story is a ton of fun and you get great characters that you know as well as a few new ones too. The book has some great humor throughout and the images were vibrant and really drew you into the book itself! This was a quick read that you and your kids will love to read by themselves or you can read together as well. This was a book that was so cool. 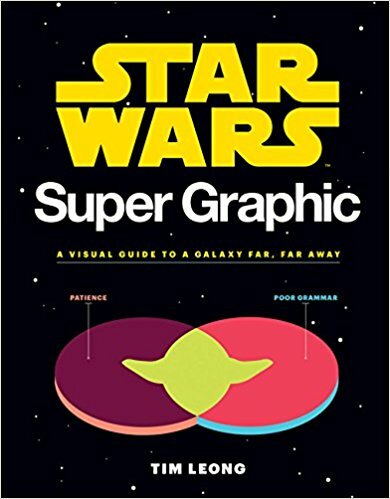 The book brings in some very cool graphics to make you think about Star Wars in some very new and innovative ways. Because of the fun graphics that are throughout this book you will find that it is a very easy read. Also, I will honestly say that if you are a Star Wars fan, this will be a book that you will want to read and you will also find that you will love reading it! While some of the graphics are a bit silly and crazy, in the end they are so much fun to read and to share with other fans! Cale Atkinson has written a heartwarming story accompanied by beautifully detailed illustrations. This story any child will enjoy hearing often. It is a story about a little girl, Jo, and her father. Her father delivers bottle mail (rather than mail in envelopes). They live by the sea and his home is the "post office". Jo is afraid of the sea. She imagines monsters and does not travel with her father, but one day that changes. This story is about Jo becoming courageous as she must deliver the mail to various places. The reader will see as she ventures further and further out into the sea that she begins to actually see what is real and not imaginary. It is not until she meets a real sea monster who helps her, that Jo becomes very courageous. All children develop fears at some time in their young lives. How they eventually overcome those fears is the real courageous journey, like Jo. This was a great book that you will love! This book has amazing characters that will make you laugh throughout the entire book. This author has a great way with words and does an amazing job at capturing the voices of the characters. The book shows a great coming of age story that also has some drama too. My daughter told me that she laughed and cried as she was reading this and as I was reading it, while I did not cry, I did laugh and it was a very fun book to read! 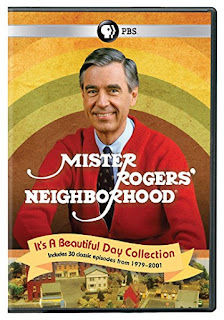 PBS Distribution announced it is releasing the new DVD Mister Rogers' Neighborhood: It's a Beautiful Day.”This special set of 32 memorable episodes and over 15 hours of content celebrates the 50th anniversary of the beloved Mister Rogers’ Neighborhood, the pioneering children’s television series from The Fred Rogers Company. Mister Rogers helps children learn the importance of being kind to others, appreciating what makes everyone unique, recycling and taking care of our planet, and much more in the classic series. The new release also includes a very special bonus episode – the series premiere, in original black-and-white! 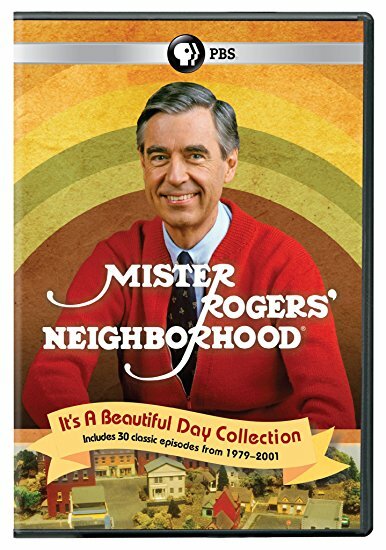 “MISTER ROGERS’ NEIGHBORHOOD: IT’S A BEAUTIFUL DAY COLLECTION” will be available on March 27, 2018 ($19.99 SRP). The four-disc collection has a total run time of 928 minutes. Episodes of the program are also available for digital download. Through his popular daily TV visits, generations of young children have grown up with the kind and gentle Mister Rogers, who created a calm and safe place that welcomed all to hisneighborhood. With real-life guests, adventurous field trips and charming make-believe segments, the iconic Mister Rogers’ Neighborhood encouraged kids ages 2-5 to learn about themselves and the world around them, speaking directly to the series’ young audience with his unique one-to-one affirmation of their self-worth. Celebrity guest stars have included: Tony Bennett, Julia Child, Margaret Hamilton, Michael Keaton, Yo-Yo Ma, Wynton Marsalis, Rita Moreno, and Bill Nye. I have always been a fan of Mr. Rogers Neighborhood ever since I was a kid. This DVD has a great mix of episodes that really brought me back. Each disc had 7-8 episodes on it and you get 31 episodes in all. Each episode had such amazing messages that Mr. Rogers would share with so many. For the price that you pay you get so much. I loved sharing this with my daughters. At first they did not know what to think, but after a few episodes they seemed to like them as much as I did. Lucy accidentally overhears her parents talking about the family getting a second pet. But what pet should they get? 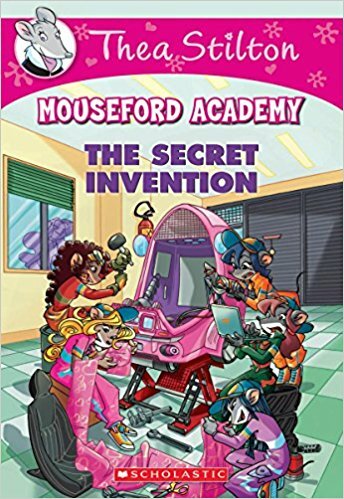 This was a fun series that incorporates STEM concepts into a fun story that will draw you in and make you ask for more. This was the third book in the series, however, even though I had not read the first 2 books I did not feel that I was lost. 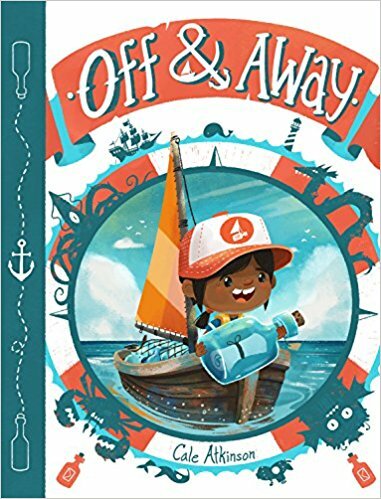 My 10 year old daughter and I read this together and we really appreciated the story and the characters. 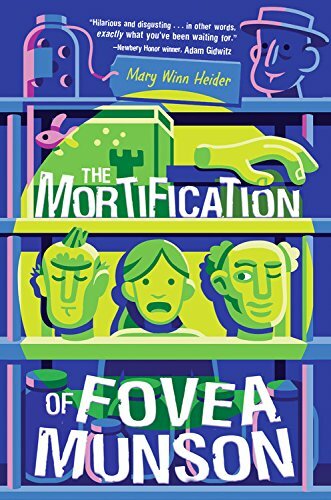 In this book you do get two main plot lines, getting a new pet and having to deal with people that may try and take credit for the work that you do. 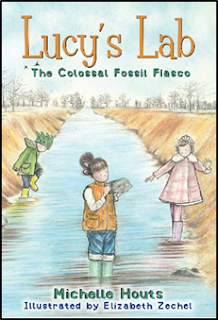 The book does a great job at incorporating STEM concepts into the story itself. You will learn about proper research and other science concepts throughout the book. The author also uses science vocabulary to allow for kids to get better acquainted to words in the STEM field. By the end of reading this book my daughter and I had already had a number of great conversations about what was happening in the book and what it meant for her and for the character. The book incorporates humor with fact and being the chapters are short kids stay engaged at an earlier age. All-in-all this is a great book to share with your kids. If you have not yet read this or any of the other books in this series, I highly recommend them! Birdie Mae Hayes has pretty much the perfect life. Her best friend Sally lives just down the street, she's becoming friends with the new boy in town, and Halloween is coming up. Her little brother Bubba drives her crazy sometimes, but whose doesn't? Except, lately, Birdie can't stop feeling like something is about to happen. Then she starts seeing things happen―before they happen! It turns out her Grandma Mae has the same ability. But Birdie doesn't know if she's ready to take on the responsibility of this "gift." Still, with the right attitude and some practice, she could help a lot of people. One thing's for sure: life is going to be real interesting from now on! This was a powerful story that shows a girl coming of age and coming into powers that she never even knew that she had within her. The powers allow her to know what will happen before they do and this is definitely a power that she has to learn to cope with. 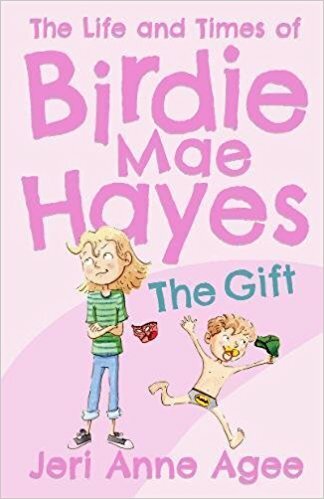 The book is an easy, fun read and this was a book that my daughter and I loved to read together! By the end of the book my daughter was asking if there was a second book, which there is not, but here's hoping for another to be written soon! Logan and his robot cousin Java are playing ball in the garage, a.ka. Mom’s lab, when they accidentally break her haircutting machine. They need to get a new one fast! The good news: they find one online. The bad news: it’s going to cost a lot of money. This is another great book in the series. I loved how this book incorporates science, humor and more. On every page of the book you will find yourself having fun along with the characters. Throughout this whole book you will find Logan and his cousin in so many unique situations which were so funny. 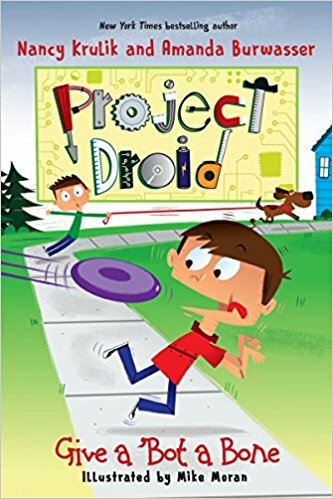 The book was a quick read and definitely is one that any Project Droid new or old fan will love! Who are you? Young adults struggle with lots of issues; finishing up school, finding a career, finding a partner to be with and most importantly figuring out who they are. But who are you? That can often be an overwhelming question to ask, especially when you feel like the people all around you have it figured out and you’re just falling behind them. In fact, you may even have questions that you would NEVER feel comfortable talking to other people about for fear of being judged or even rejected by them. Don’t worry though, you don’t have to navigate life alone, in fact there’s so much untapped potential in you that the world has yet to see. Realize your potential: It can be hard to see the potential we have to do really wonderful things in this world. Figuring out how to make friends, develop relationships and to be confident is a step-by-step process. 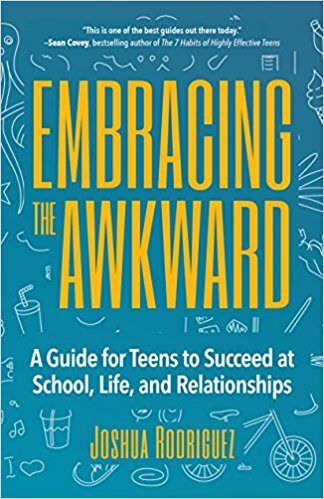 Now help is available in Embracing the Awkward, written by the popular teen-advice-YouTuber, The Josh Speaks. This down-to-earth guide will help you feel comfortable taking small steps towards being somebody great. In this book Josh walks through the step-by-step process for sorting out the confusion around teen questions. This isn’t another dry instructional book written by a boring adult who is disconnected from the millennial reality, it’s a guide, a workbook, an empowering step towards trying things out, discovering who you are and truly becoming your best self. 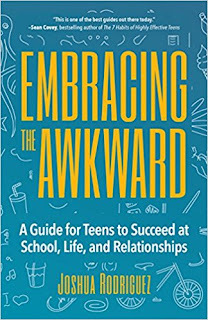 The book covers topics like making strong friendships in school, approaching your crushes and asking them out, dealing with failure and rejection, and maintaining your family relationships. This book will help you build upon the skills you have deep inside of you so you can structure your life and shake the world around you by truly being somebody great. I remember how awkward things were when I was a teenager. You did not feel like you fit in anywhere and you were trying to make a place for yourself in the world. As a dad of a teenager I see this same thing happening with my own daughter and I know that there are even more challenges today than I even had to deal with. 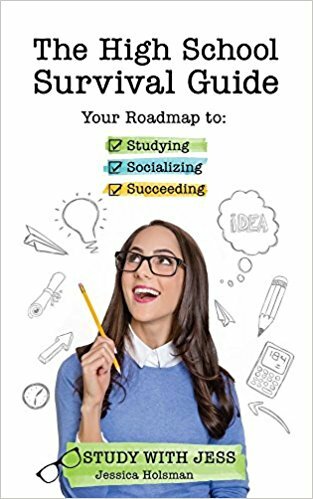 This book is a great book that offers practical thoughts and advice to teens to help them process things without having an adult hovering over them. The topics in the book are relevant and important and the book is written in a way that makes it an easy read. I highly recommend this book to any parent of a current or future teenager! Movie Quotes for All Occasions provides hidden gems from a variety of film genres. Whether blockbuster megahits or forgotten indies, we’ve got the right quote for the right occasion. 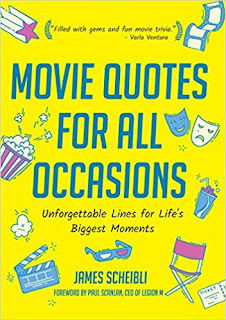 If you love quotes and especially movie quotes, this book is a great treasure trove of wisdom. Whether you are looking to give a speech or simply collecting great quotes for yourself, this book will give you a ton of movie quotes from a wide-array of movie and genres. Not only do you get fun quotes but you also get some fun commentary by the author as well which makes the book even easier to read and enjoy! 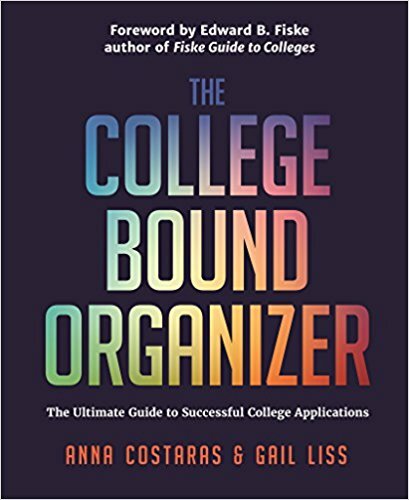 College Bound Organizer is your step-by-step comprehensive guide to organize every step of the college application process from college search through college admission. College admissions is tougher than ever: Between now and 2020, about 90 million high schoolers in the U.S. will try to get into college. And, nearly three million students are expected to enroll as first-time freshmen in degree-granting institutions in the United States this school year. Each of these students will apply to many schools ― five, 10, perhaps as many as 20 ― and each of those applications has a daunting number of T’s to cross and I’s to dot. With standardized test taking and school visits, the college application essay to write and forms to fill out, there is so much to do. Applying to college is intimidating and overwhelming for both teenagers and parents. If you intend to be college bound: The challenge is to be well informed, prepared, focused and organized throughout the multi-step college search and admission process. Your solution is The College Bound Organizer,the ultimate guide to help students effectively navigate this very complicated and stressful process. As a college admissions professional I am always looking for new resources that I can recommend to people that are either supporting someone looking at attending college or someone that wishes to attend college themselves. This book is a great resource as it is very practical in nature and walks you through the steps that you must follow to be able to get into the college that you wish to attend. The book has a ton of great worksheets that are easy to follow and complete and by the end you have answered most of the important questions that you need to answer to make an informed decision. The book also has a ton of great tips that they share to help this process more streamlines and clear for all. The book is written for people that truly need it which makes the book such a valuable resource. How to Study! ─ Do you want to develop great study skills, learn how to study smarter, and reach your full potential as a student? 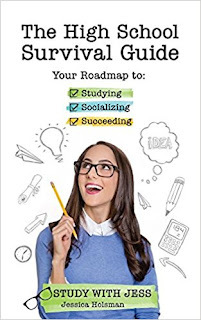 High School Survival Guide: Beyond the classroom, Holsman, who has a degree in Psychology, helps you understand your social skills as you grow from a Freshman to a Senior. From your first year orientation to applying for college and graduation, Holsman provides the best study tips and tricks to help you stay organized, write assignments, complete exams, manage stress and live a well-balanced life! Maximize your full potential, ace your next test, and become an A+ student! This was a fun book that has a little bit of everything for the high school student to be. With a daughter that will be in high school soon, this book is a great resource that walks any reader through some of the highs and lows that can be high school. The author shares some of her own personal examples that makes the book relatable to those that read this. The book was a quick read and offered actionable tips that any new high school student can put to work immediately. Recent years show a sea change in Hollywood- the biggest movies come from the pages of comic books. These box office successes are driven by fans who love seeing their favorite heroes and villains from comics brought to life on the big screen, from Thor to Superman to Batman and Captain America, Wonder Woman and more. Baddies like Loki, The Joker and Lex Luthor only add to the fun. Welcome to the Golden Age of comic book movies and Comicstorians Benny Potter, Dan Rumbles and Jason Keen are here to help you understand why we these larger-than-life characters have captured the imagination of the world. When it comes to superheroes of the Silver Screen, nobody knows more than the masterminds behind the wildly popular Comicstorian YouTube channel. This definitive guide to comic book films divulges behind-the-scenes secrets and the hidden history behind these must-see movies including how, after very rocky beginnings, they shot to the top with DC and Marvel as two of the most important franchises in the industry. If you love The Hulk, The Avengers, Guardians of the Galaxy, Iron Man and are still laughing about Deadpool, look no further. With The Rise of Comic Book Movies, you’ll feel like you are on the film set, walking the halls of Valhalla and in your very own Fortress of Solitude with your favorite reads. 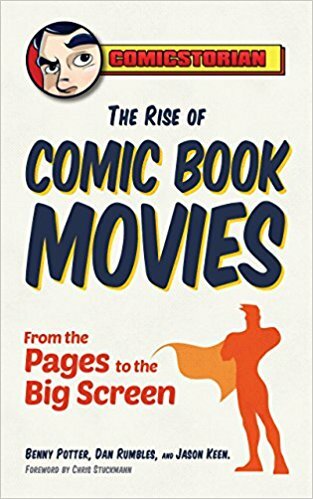 This was a great book that offers a fun series of reviews of a ton of comic book movies that cover an array of different movies. I will say that it does cover a few of the movies that you would expect. I loved that the book explores the stories behind the movies. It does not cover a ton of the Marvel movies and maybe that means there will be a second book. 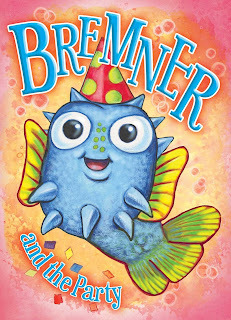 Brand new picture books from Ripley’s feature fun and engaging stories around two favorite Ripley’s Aquarium mascots—Sharkee the sand tiger shark and Bremner the pufferfish. Filled with expressive illustrations, silly situations, and lovable characters, kids and parents alike will be enchanted by each of these charming “tails”! 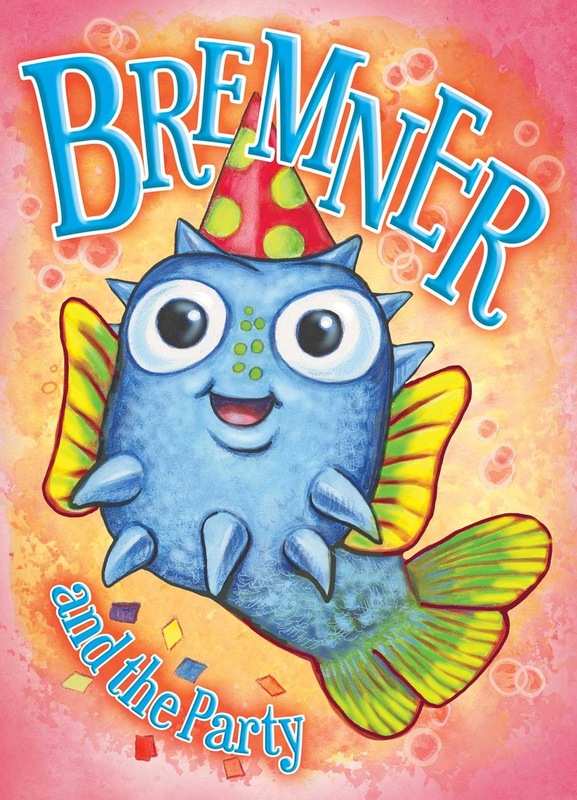 Bremner the pufferfish is going to a party. Tonight. Gulp! And he’s nervous. And he knows what happens when he gets nervous. He puffs up. And he definitely doesn’t want to puff up. Children and parents alike will laugh their way through Bremner’s nervous dialogue as he goes off the deep end before joining the party. Will Bremner puff up and ruin the celebration? There’s only one way to find out! My niece and I read this together and she loved the imagery and the story. The book itself uses very few words but the images say so much. This is a great book for a young reader and it opens up a great discussion for parent and child to talk about being nervous for new situations. This is a great book I recommend to all! A teddy bear has fallen into the ocean, but there were witnesses. And they want the teddy bear. 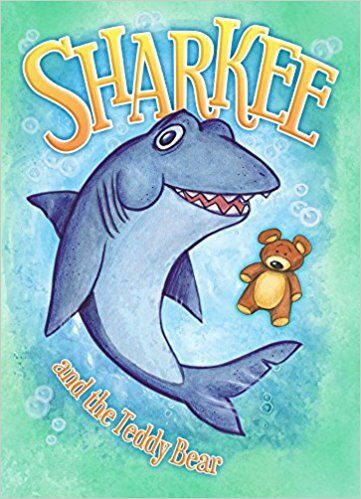 Join Sharkee and his sassy sidekick as they search for the bear, stopping to ask all sorts of marine animals along the way with varying degrees of silliness. 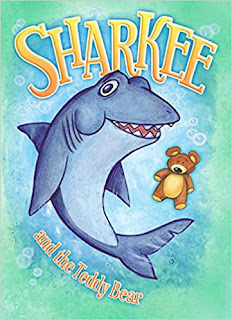 Told from Sharkee’s point of view, this bubbly tail will have young readers giggling at Sharkee’s hilarious encounters and parents entertained by the adorable ending. Will Sharkee ever find the teddy bear? There’s only one way to find out! This is a very cute story that brings together unlikely friends. I mean, who would think that a Shark would want to be around a Teddy Bear! The story was very cute and the images truly bring the story to life. This is a great book written for young readers that will allow you and your child to bond together over a good story! Something Happened in Our Town describes a traumatic event—a police shooting—from the perspective of a White family and an African American family. 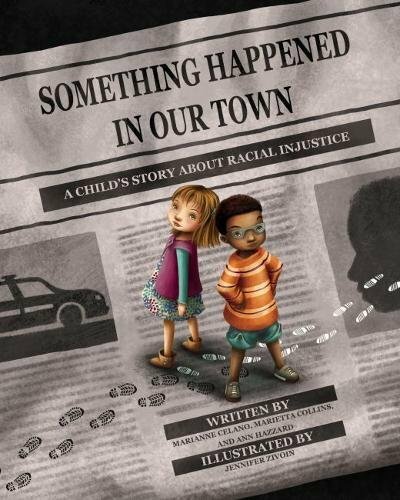 This story models productive conversations around racial-ethnic socialization and social-emotional learning, and provides an excellent platform for discussing social justice and race relations with children. Includes a “Note to Parents and Caregivers” with conversation guides, child-friendly vocabulary, and lists of related resources. This is a great book that has a powerful story that is written to help have some good conversations with your kids about what happens. This is the type of book that all teachers should share with their students. The more students that read this and learn about scenarios like this the more that our society may be able to change in the future! Pocket Art: Portrait Drawing is a lively, graphic approach to explaining concepts will have you looking and learning with step by step illustrations and expert tips straight from London-based artist "Miss Led" (aka Joanna Henly). This compact 112-page book is just right for carrying in a backpack or pocket for when you’re learning on the go. I have two daughters that love art, however, portraits are not easy for them. 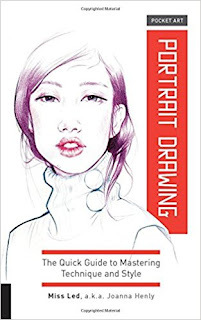 This book does great job at helping you to better understand what you have to do to be able to better capture the likeness of the people that you wish to draw. The book provides a reader with some amazing tips that will help you start to draw some great new portraits. I know I went back to some of the lessons that I had done in the past and tried them again after going through the book and I noticed that I continued to learn and I also noticed that I got better too!